Limousines come on many different styles and sizes based on the event that you require the vehicle for. They are all manufactured to accommodate at least 5 people following the seat of the driver. This allows for your group to have both separation and privacy from the driver. 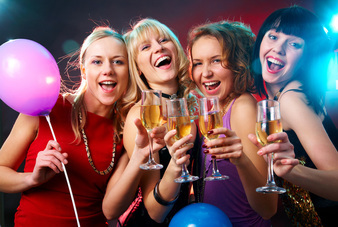 Getting a birthday limo in St Louis, MO is a great idea for carrying your entire party to the event you have chosen to celebrate you getting one year older. If you are planning a smaller get-together or are looking for a birthday limousine service to take a few family members to and from a nice restaurant or bar then a stretch limo or town car would be a great option. However, if you have a lot of friends and or relatives coming then you may want to consider one of our tremendous party buses. This is not your everyday school bus, it is an action packed party on wheels! 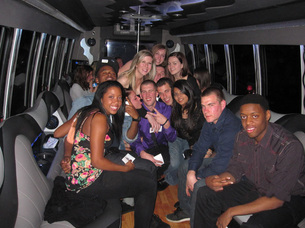 Our limo party buses are a wonderful choice for a sweet 16 idea or for a pal who is turning 21. Make your night an awesome experience, hire us today and take your night to a whole new level! Create a twenty first birthday that will be tough to beat and one that everyone wants to attend. When it comes to birthday transportation services, St Louis Limo Rentals is second to none. This is a day for you to be celebrated and no one wants to be concerned about getting all of their buddies and girlfriends crammed into some ones minivan. Getting pulled over for being intoxicated or having too many people in a vehicle is the last thing that you want to happen. Put those thoughts behind you and let one of our trained and qualified drivers get you to your event safe and sound. You can complete the form on this page for a quick quote or choose to give us a call for booking and providing answers to any of the questions you may have. We make it our goal to fulfill your special and custom birthday wishes. Book a birthday or anniversary limo today for your best celebration yet!